"We can't all be saints, Casey. Besides, sinners have more fun." Casey Strong laughed at her cousin's outrageous words. It was so like Eva to say what was most provocative. Casey adores her older, beautiful cousin and offers her a home in their pub, The Britannia, when Eva's father and stepmother are killed by a gas explosion. Everyone falls for Eva's vivacious charm even Casey's surly, widowed father Joe, who had resented providing a home for her. But Joe 'Strongarm' Strong is a man with a dark secret and Eva is not the innocent victim she at first appears. 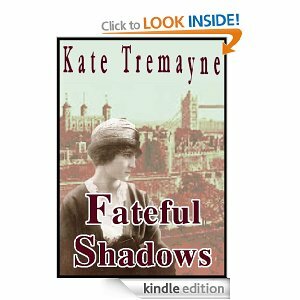 Fateful Shadows is a compelling novel of dark secrets, passion and loyalty overcoming persecution and social prejudice - and an obsessive love which leads to tragedy.